You can now support our project by purchasing your very own official meowchandise! These items are available to ship worldwide, so you can show your love for our work no matter where you live. Currently, all profits made from the sale of everything here will go toward purchasing a building that suits our unique needs. You can learn more about this beautifully designed journal over on Lulu! 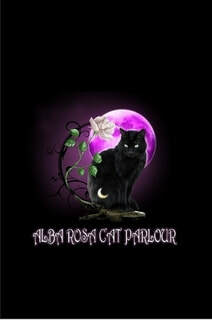 This is an original design created for Alba Rosa. Purchase your own copy here!